Red color always makes bold statement. It is always eye catching so there is no better approach to attract the main point of a room than a comfortable and stylish red sectional. A973B sectional sofa consists of two pieces sofa and chaise that feature tufted design seating and clean-cut back with three adjustable headrests. Adjusting these headrests to different positions will change the overall design of the sectional as well as bring extra comfort. 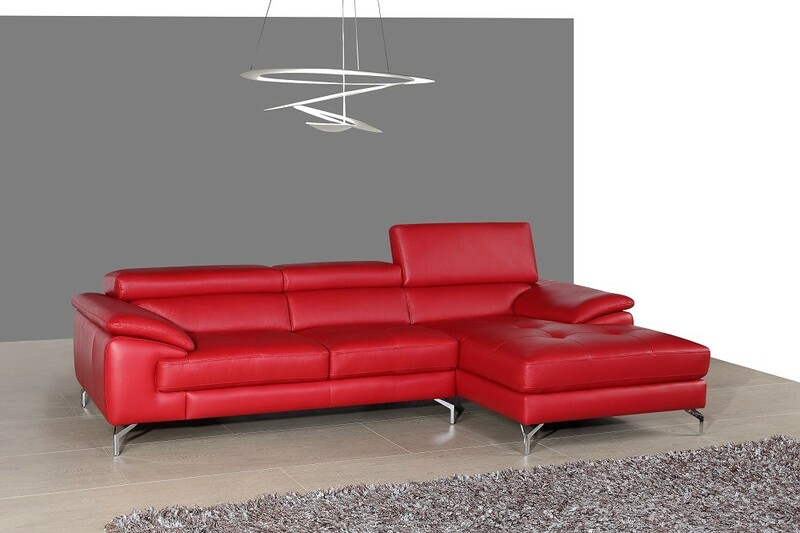 Upholstered in full Italian red color leather it is durable and will serve for years to come which makes it a great investment. It stands on strong chrome finished steel legs with pads that protect the floors from scratching. This unique high quality sectional sofa is a perfect choice for any contemporary style room.